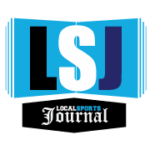 HOLLAND – After a historic season full of great moments, the Spring Lake softball team will be left with the memory of one bad inning it would like to forget. The Lakers built an early four-run lead in Tuesday’s Division 2 state quarterfinals at Hope College, but South Haven scored five runs in the third inning and held on for a 5-4 victory. The loss was even more painful for Lakers because they left the tying run on third base in the final inning. The Rams’ victory denied Spring Lake its first-ever trip to the state semifinals, and also put the only blemish on the Lakers’ otherwise perfect season. Spring Lake finished the season with a sparkling 40-1 record. 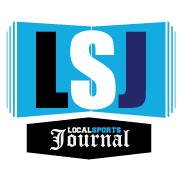 Spring Lake scored twice in the first inning, when Lauren Hellman advanced all the way to third base on a throwing error, Madelyn Nelson walked, then both scored on RBI outs by Linsey Paggeot and Leah Vaughn. Jenna Core led off the top of the second inning with a solo homer, giving the Lakers a 3-0 lead. Spring Lake added another run in the fourth on a sacrifice fly by Vaughn. With a 4-0 lead and Vaughan, the starting pitcher, recording five of the first six outs via strikeout, the Lakers seemed to be in command. Then came the disastrous third inning. South Haven’s Frances Lyons started things off by taking a 1-2 pitch and knocking it off the left field foul pole for a home run that cut the Laker lead to 4-1. Two walks and an error later, the Rams’ Anna Bocock stepped to the plate with the bases loaded and one out. After falling behind 0-2, she worked the count to 2-2, then took the next offering and sent it to deep left center, where it just cleared the fence for a grand slam that gave South Haven a 5-4 lead. Spring Lake looked to get even in the top of the fourth, putting runners on first and second with one out. 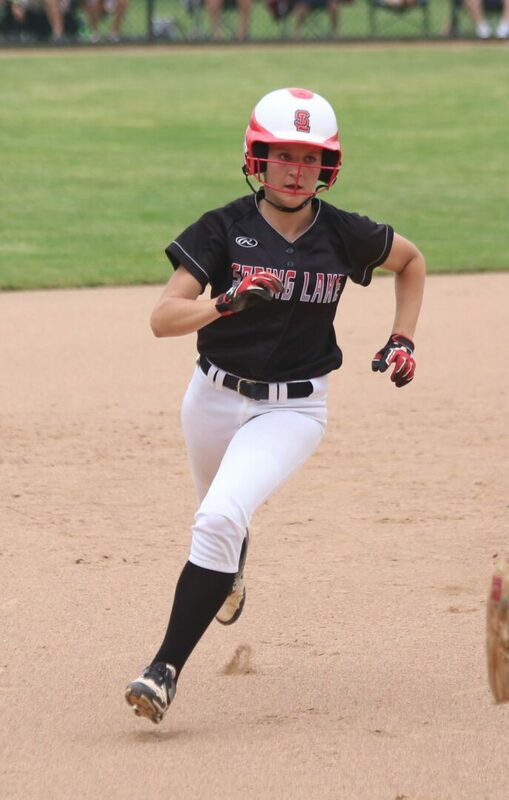 Kileah Rymal singled, and the Lakers would have had the bases loaded, except the runner on second took too big a turn and was picked off by a throw from the center fielder. Spring Lake left the remaining runners stranded. South Haven loaded the bases in the bottom of the fifth with no outs on three straight walks, but Vaughan escaped the inning with a strikeout and two groundouts. 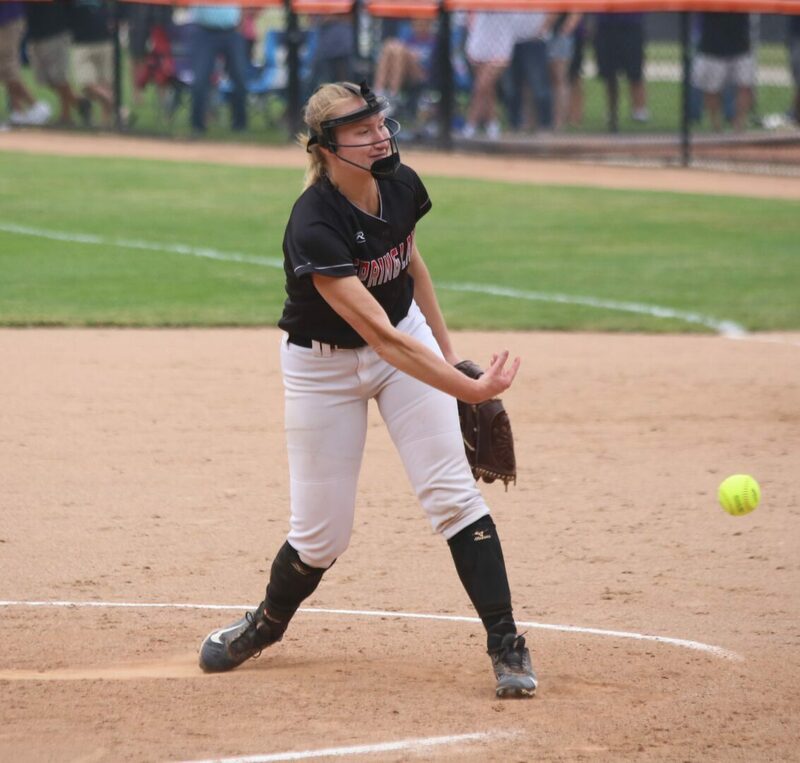 But by that point the chances were few and far between, because Rams pitcher Hayley Kreiger had finally settled in on the mound. The South Haven senior allowed only two hits in the final three innings, and got the first two outs in the top of the seventh to close in on the victory. Nelson kept hope alive for Spring Lake by taking a two-strike pitch and dropped it into deep left center for a triple. With the tying run a single away, Paggeot drilled a ball down the first base line, but it was knocked down by Bocock, who recovered, picked it up and stepped on first for the final out. “It’s tough,” Core said. “It was one inning, two pitches, really, and both home runs came on two strikes. I think the coaches will realize it before the girls do, how special the season was.